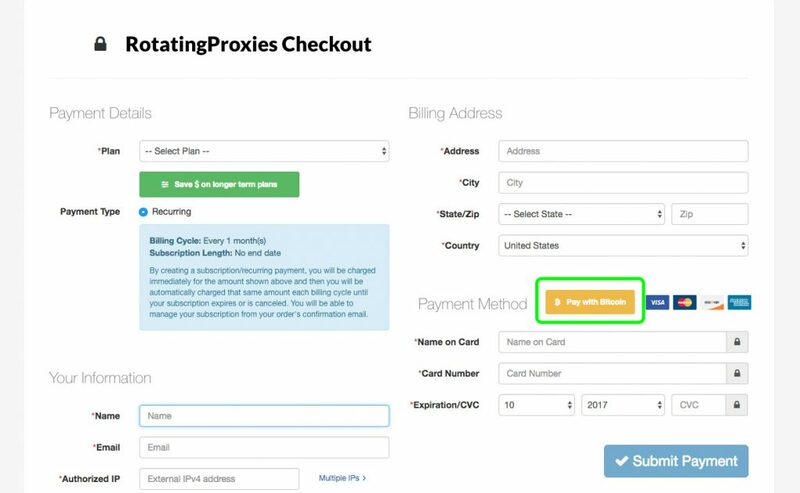 Signing up for a proxy plan with Bitcoin or Litecoin is an easy process that allows you to get a full 30-day subscription with the option to renew. 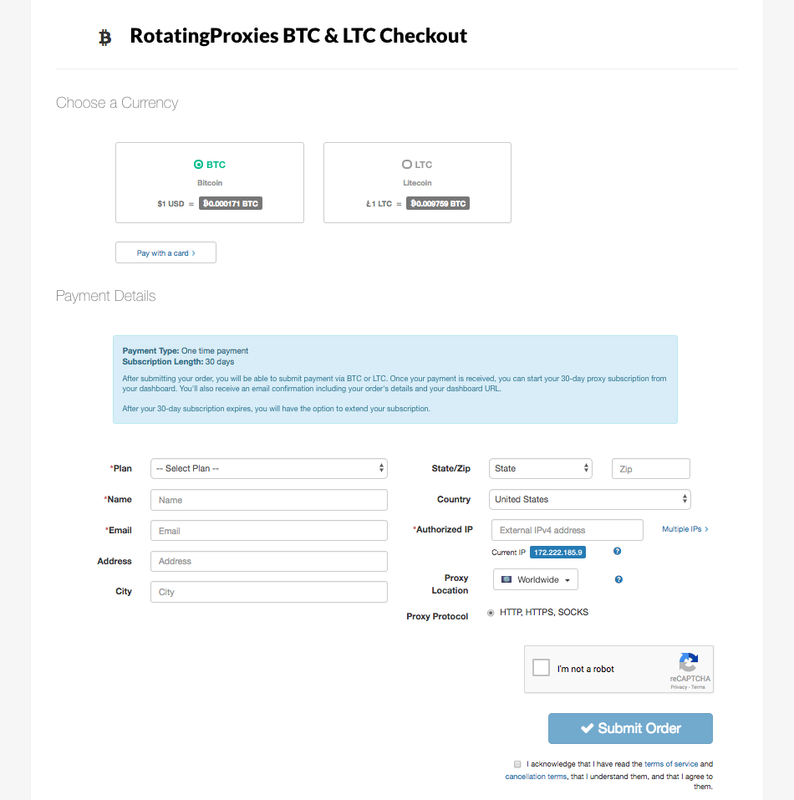 2) Click Pay with Bitcoin. 3) Select a plan, then fill-in the sign-up form using your details. 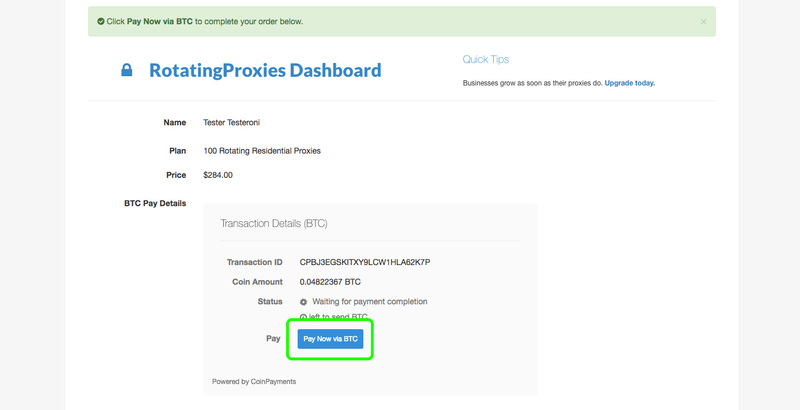 5) A CoinPayments.net pop-up window will appear, featuring a window with the wallet address to send your coins to. 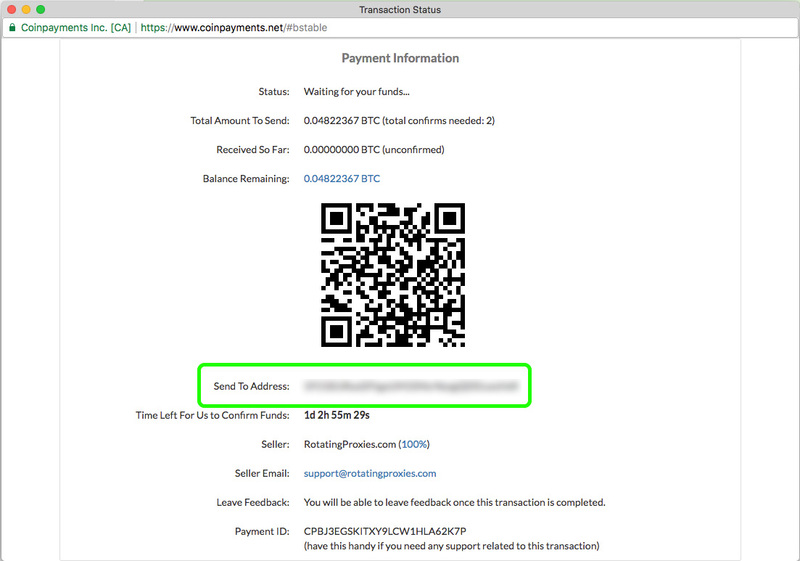 6) Send the required funds to the wallet address in the CoinPayments.net pop-up window. 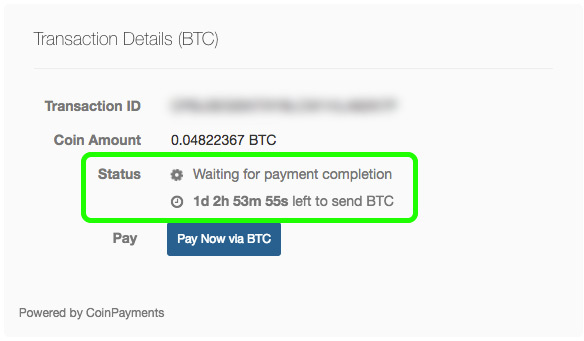 7) Your Dashboard and the CoinPayments window will update once your funds have been received successfully. This process may take some time, so be sure to refresh the page after 5-30 minutes.